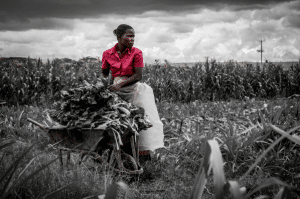 FMO, the Dutch development bank, and Agora Microfinance Zambia Limited (AMZ), part of the Agora Microfinance Group, recently signed a financing facility to expand and consolidate AMZ’s work with small holder farmers and rural enterprises in Zambia. The new facility will finance much of AMZ’s growth during 2019-2020. Speaking about the partnership, Jeroen Harteveld, MASSIF Fund Manager of FMO, said that this loan facility in local currency to Agora will contribute further to rural development in the country since AMZ has the deepest rural outreach in Zambia, and it fits the fund’s mandate to promote financial inclusion in underserved regions. Providing local currency is essential to primarily local-currency earning end-clients who may otherwise be subject to currency mismatches. AMZ’s strong operational and financial performance in the past two years indicates that the institution is ready for further scaling up. Tanmay Chetan, Chairman of AMZ said – We are extremely pleased with the partnership, because it carries great potential for our growth and development into a deposit taking institution in the years to come. FMO’s confidence in us proves that appropriate financing is available for strong financial institutions in the Zambian market, and we will do our best to leverage FMO’s participation to the fullest. The Agora Group views AMZ as its flagship institution in Sub-Saharan Africa and this partnership will be crucial for our future developments. About FMO: FMO is the Dutch development bank. FMO has invested in the private sector in developing countries and emerging markets for more than 45 years. Its mission is to empower entrepreneurs to build a better world. FMO invest in sectors where it believes its contribution has the highest long-term impact: financial institutions, energy, and agribusiness. With an investment portfolio of EUR 9.2 billion spanning over 85 countries, FMO is one of the larger bilateral private sector development banks globally. About AMZ: AMZ is a non-deposit taking Zambian microfinance institution that works with 25,000 clients through 10 branches across 3 provinces of the country. AMZ is regulated by the Bank of Zambia under its microfinance regulations. 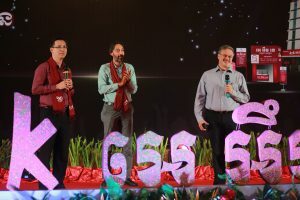 Its primary shareholder is Agora Microfinance N.V.
Board members and senior management of AMK came together in Siem Reap on 30th November 2018 to mark the 15 years of its successful existence. The day included a morning management strategy session, afternoon team-building exercises and concluded with a celebratory dinner. At the dinner, AMK remembered the contribution of one of its founding members of the management, Olga Torres. Olga’s family were felicitated and thanked on this emotional occasion. Alongside, the first Olga Torres Award for Innovation and Excellence was launched. The award went to the micro-insurance team for 2018. 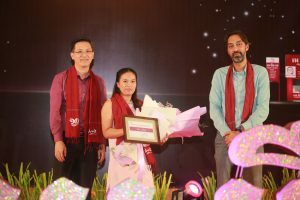 An acknowledgement for continuing Olga’s legacy at AMK was presented to Sophy Pum, who took over from Olga and continued AMK’s work in research and product development over the past many years. Finally AMK celebrated its 15 years of success in Cambodia by felicitating 19 members of its team who have been with AMK since its inception. AMK’s past Director and representative of its past principal shareholder Agora, Gerhard Bruckermann presented the awards together with its new shareholder representative from the Shanghai Commercial and Savings Bank, John Yung. In September 2018 AMK MFI Plc, one of Cambodia’s leading and largest microfinance institutions, become a member of the Shanghai Commercial & Savings Bank, Ltd., (SCSB). Both institution leaders believe that joining as one family will bring in banking experiences, capital and drive AMK to implement its strategy in achieving its goals. 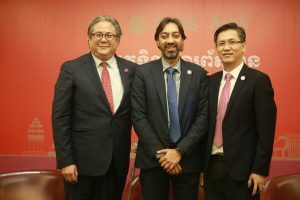 On Wednesday 28th November 2018, AMK hosted a press conference in Phnom Penh to formally announce the acquisition. 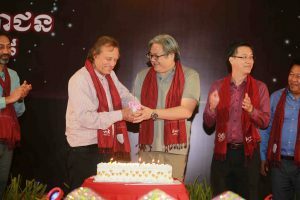 AMK’s CEO, Kea Borann added, “We are excited to be a part of SCSB. SCSB’s participation in AMK will allow us to work better as it will be able to strengthen human resources, source funds and utilise the bank’s advanced technologies. I believe that working together with SCSB will help us to provide better financial services and give confidence to Cambodians, especially our rural clients”. AMK is a leading Microfinance Institution in Cambodia in terms of outreach and borrower numbers. As of September 2018, AMK reaches 89% of total villages in Cambodia, with over 830,000 clients, a loan portfolio of over USD244 million, and deposits of more than US$ 143 million. AMK provides a variety of financial services including Loan, Deposit, Money Transfer, Micro Insurance, Personal Accident Insurance, Payment Service, Payroll Service, Mobile Banking, ATMs, and CDMs. 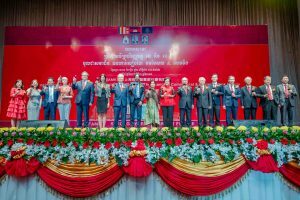 SCSB and AMK also hosted a gala dinner as a celebratory announcement of their partnership, which was attended by Excellencies and Dignitaries from the National Bank of Cambodia, board members and senior management of AMK and SCSB, and many other dignitaries and guests. The theme of the event was One Family-Great Synergy-Bright Future. AMK finished a challenging 2017 with very credible results. Despite regulatory changes, interest rate cap, and a competitive market, AMK increased both its loan book and its deposit balance by around 35%, while maintaining a satisfactory PAR30 level of just under 1.5% as on year-end. Its micro-insurance product saw a strong growth of almost 50% to reach 286,000 policies sold during 2017. Similarly, its money transfer and payroll/payment facility saw almost 2 million transactions during the year, a 23% increase over the previous year. AMK continues to reach deep into the market and work with a large number of lower income families. Its average insurance policy costs $6.72, the average deposit balance is $300, and the average money transfer is $291. Its client satisfaction reports for 2017 showed that its poorest clients are its happiest insurance customers. As a result of its wide geographic and product coverage, AMK showed strong financial performance with a RoE of 14% even while its lending yield contracted by 15% over the previous year as a result of the new interest cap introduced in Cambodia. As at end 2017, AMK was working with almost 700,000 clients through its loan, deposits and micro-insurance products. Meanwhile, AMZ finished 2017 with very strong results, the best in its short history so far. It finished the year with a 70% growth in portfolio while achieving a 20% reduction in Operating Cost levels. As a result, its topline income increased by 41% even as its effective lending rates came down by over 10%. PAR30 remained impeccable at 0.5%, and profitability was strong at a RoE of around 20% for the year. During the year AMZ also expanded operations and opened two new branches, diversified its loan book by introducing small-group and MSME loans in addition to Village Bank (large group) loans, and ventured into mobile money agency business by partnering with Airtel, MTN and Zoona. Towards the end of the year it also developed two micro-insurance products in partnership with Insurance companies, for weather-index, health and funeral cover. These products are set to be tested during 2018. At the end of 2017, AMZ was working with 17,000 clients across 6 branches and with a staff strength of 71, of which half were Client Officers. It has also built partnerships in and outside the country with Grameen Credit-Agricole, Oikocredit, LendAHand, Financial Sector Deepening Zambia and Global Partnerships. AMIL continued its progress towards growth and viability and is set to record its second successive year of financial viability, after breaking even in the previous year. While its financial year ends in March, the estimated loan book for its year end is over USD4.5 million, with a healthy position on portfolio quality and profitability. Like other Agora MFIs, AMIL has also branched out into mobile payment services as a super-agent and has further consolidated its geographical reach in Mumbai with operations run from 11 branches. We expect that AMIL will end its financial year with approximately 20,000 clients in Mumbai. Listening to farmers helps manage risk and boost repayment rates. Read this latest article co-authored by Agora and OneAcre Fund. In the last months of 2016, AMZ successfully started operations in two new locations in Zambia. It started a new rural operation in Chongwe, and the first few months have seen strong demand in the area from small farmers and traders. AMZ also kickstarted its SME product in Lusaka after a short gap. Another new initiative towards the end of 2016 was an agreement between AMZ and Airtel Money to appoint AMZ as a super-agent of Airtel Money for managing agent-level liquidity in rural areas. As at the end of December 2016, AMZ had 919 clients and ZMW 680,000 (USD$ 68,706) loan portfolio in Chongwe, comprising about 4% of the total loans outstanding. Similarly it had 23 clients and ZMW 1,719,000 (USD$ 173,685) loan portfolio in Lusaka (SME only), comprising 11% of the total loans outstanding. The new locations now extend AMZ’s network to 6 locations. Their geographical location is highlighted below.